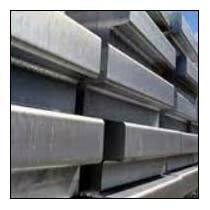 We are counted among reputed Suppliers of a wide array of Aluminium Ingots. Created out of superior-grade raw materials, our Aluminium Ingots are used for varied industrial applications of the petroleum, oil, chemical and marine industries. We make them available in bulk and as per required specifications. Buyers can rely on us to provide Aluminium Ingots at market leading prices.